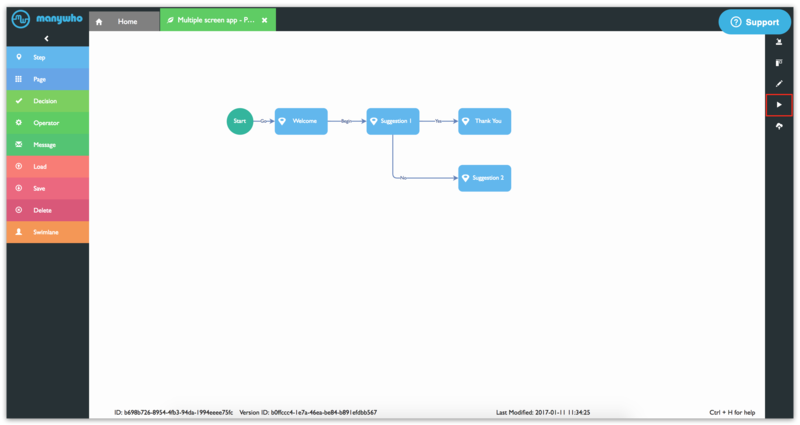 Running a flow lets you see how your app will be rendered in real life. 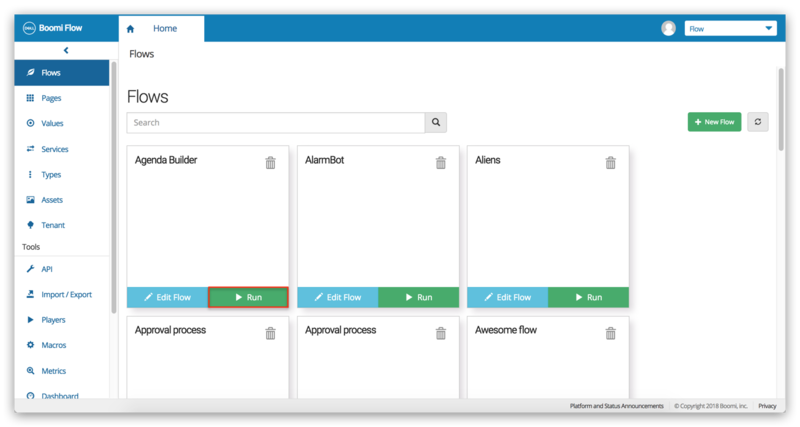 You can run a flow by clicking the Play button on the right-hand-side navigation of the canvas, or by clicking Run on any flow in the Flows tab. Click the Run button on the flow you want to run. 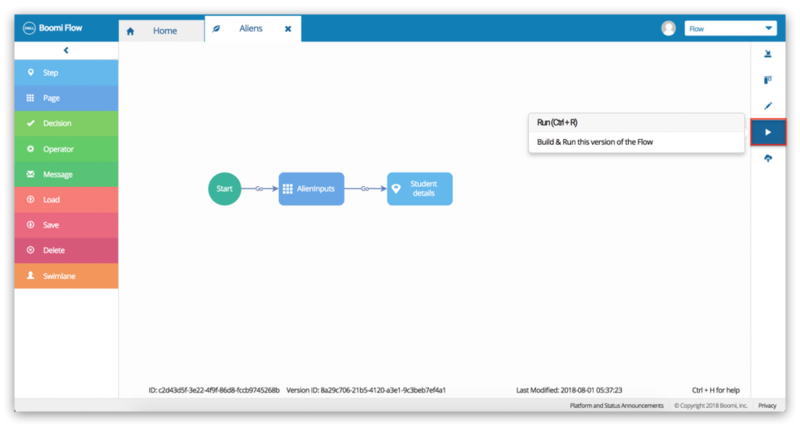 Boomi Flow Ninja: What is the difference between Run and Publish? Run: Snapshots the current version of the flow, and runs that version. The URL in the Run dialog contains a Flow Version ID. 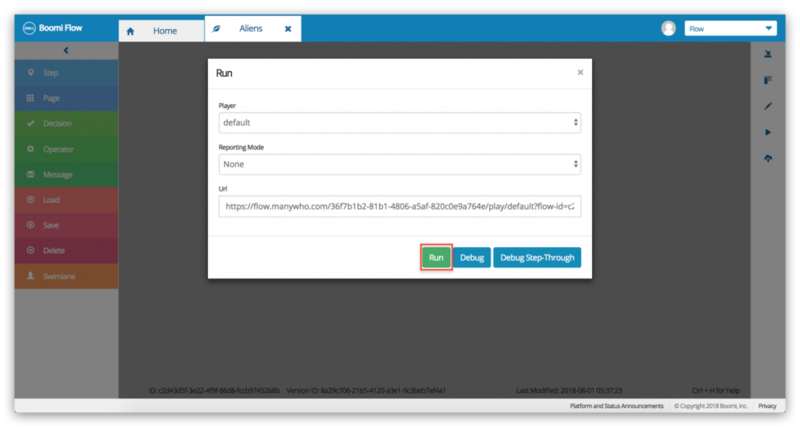 Publish: Snapshots the current version of the flow, and make that version the default version. Whenever you run a flow without a Flow Version ID specified, it will use the last published version. You may want to share links that do not contain the Flow Version ID with your end users, so they always have the latest published version of your app.